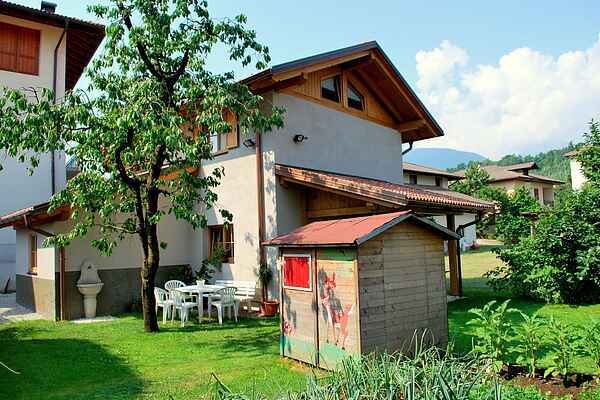 Nice holiday apartment on the first floor, in a single house. Large living area with a 10-seat table, pellet stove, sofa bed and single bed with pull-out bed. kitchen with 4 electric rings, dishwasher and refrigerator. Small loft bedroom. Washing machine, garden and barbeque in common use with the owners. The house is in the village Tassullo. The Lake of Santa Giustina is only 2 km away.